Mercy Health and Bon Secours Health System plan to merge to form a 43-hospital entity that serves seven states, the organizations announced Wednesday. The combined system would have $8 billion in net operating revenue and $293 million in operating income. More than 57,000 associates and 2,100 employed physicians and advance practice clinicians would work in more than 1,000 locations across the East Coast, Ohio and Kentucky, including more than 50 home health agencies, hospices, skilled-nursing and assisted-living facilities. Executives of the Catholic health systems said the merger would create the fifth-largest Catholic health system in the country that could leverage economies of scale to deliver better, more affordable care. They expect to complete the merger by the end of the year. "The mission, vision, values and geographic service areas of Bon Secours and Mercy Health are remarkably well-aligned and highly complementary," Bon Secours CEO Richard Statuto said in a statement. "This merger strengthens our shared commitment to improve population health, eliminate health disparities, build strength to address social determinants of health, and invest heavily in innovating our approaches to health care." The proposed merger follows a spate of recent hospital merger announcements that seek scale to cope with the changing industry. Executives promise more efficient operations that will deliver better care to more people at a lower cost while economists warn that highly concentrated markets will raise prices and compromise quality. But more than achieving scale, this merger is about maintaining focus on patients, said Christopher Helmrath, managing director of SC&H's Capital Group. "This was a deal not to become bigger for bigger's sake, this was a deal that was about having no overlap, each doing things that the other can learn from, creating a healthcare system that can reduce cost, and continuing to help the needy," he said. 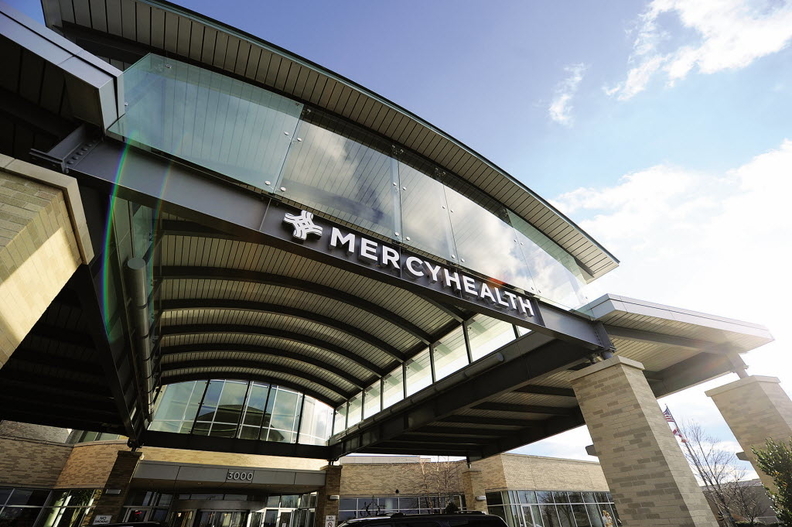 Cincinnati-based Mercy Health has 23 hospitals, 26 post-acute facilities and more than 33,500 employees throughout Ohio and Kentucky. Its clinically integrated network serves more than 200,000 patients through the Medicare shared-savings program. With operations in Maryland, Virginia, South Carolina, Kentucky, Florida and New York, Marriottsville, Md. -based Bon Secours owns, manages or operates joint ventures of 20 hospitals and 27 post-acute facilities that employ 24,000 workers. Bon Secours also has transitioned to a regional accountable care organization model and seeks to develop clinically integrated networks in each of its markets. Mercy had an operating income of $50.1 million as of the quarter ended Sept. 30, representing an operating margin of 4.1%, up from a $27.8 million operating income and 2.4% margin the same quarter the prior year. Bon Secours' operating income was $23.8 million for the quarter ended Nov. 30, representing a 2.9% operating margin, compared to a $10.4 million operating income and a 1.3% margin for the same quarter last year. But Bon Secours has been losing money in three of its markets, including its Virginia-Hampton Roads Health System, Kentucky Health System and Baltimore Health System, which largely cover low-income and high-cost populations. Bon Secours stands to benefit from Mercy's stronger financial footing and better access to capital while Mercy would improve its reputation by expanding its network to serve more underserved populations, Helmrath said. "This gives Bon Secours the lifeline for the long run that they need," he said. "It also gives Mercy better standing for their community benefit."